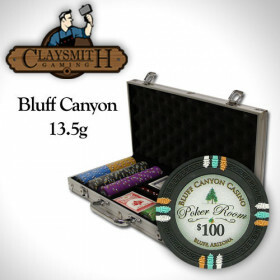 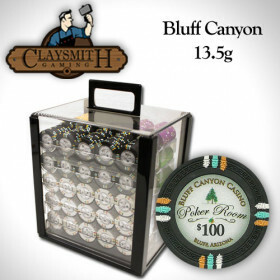 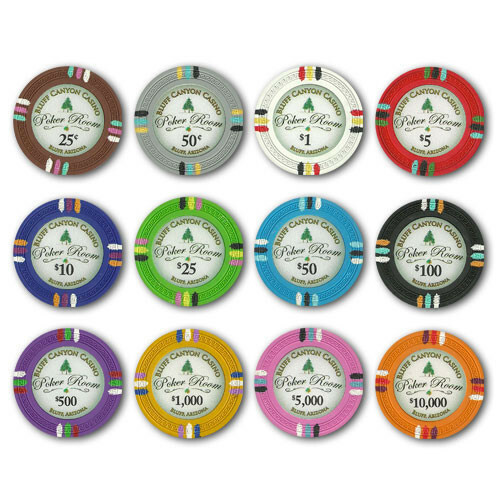 Upgrade your basement, garage, or dining room poker setup to a true casino experience with this set of high quality Bluff canyon cay composite poker chips. 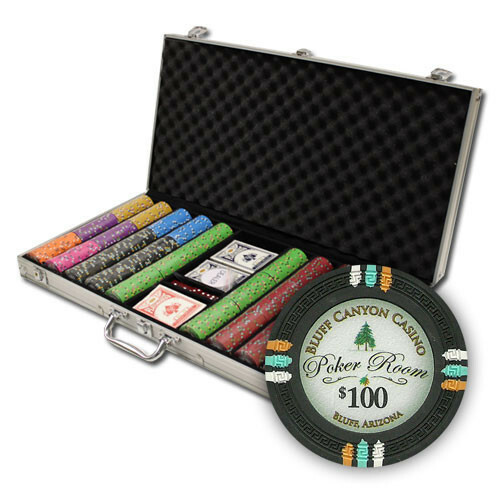 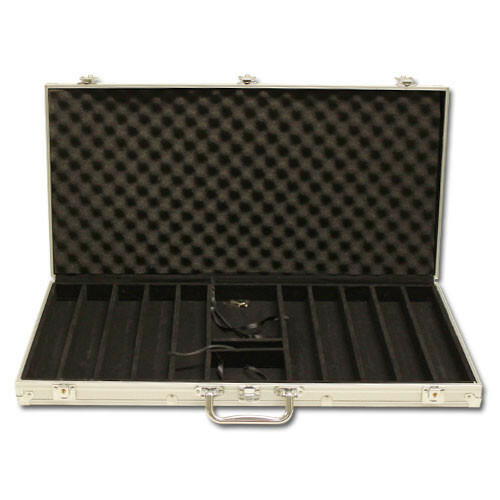 Your set includes an aluminum storage case, 2 decks of playing cards , 5 dice and a free dealer button to get the action started. 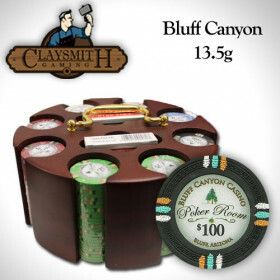 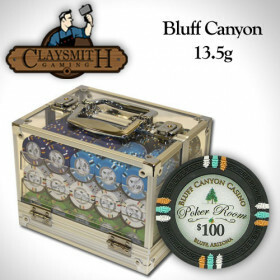 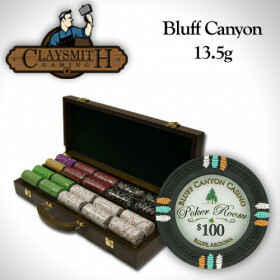 750 Claysmith Bluff Canyon clay composite poker chips. 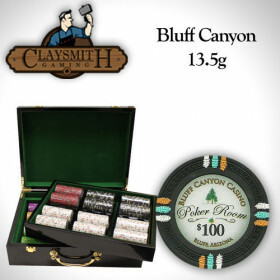 Start playing today with the included 3 decks of playing cards, 5 dice and a free dealer button. 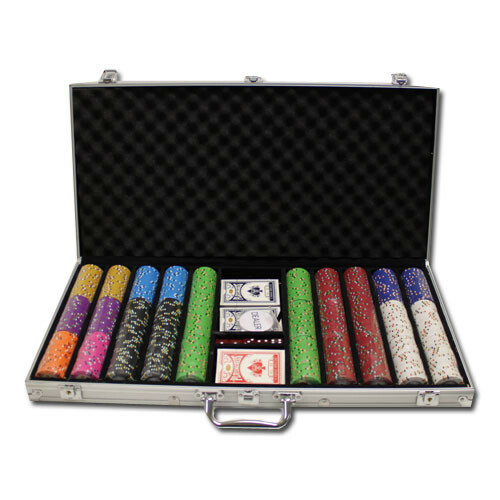 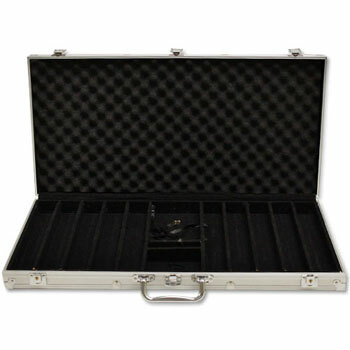 Keep your chips out of harms way with this 750pc aluminum poker chip carrying case. 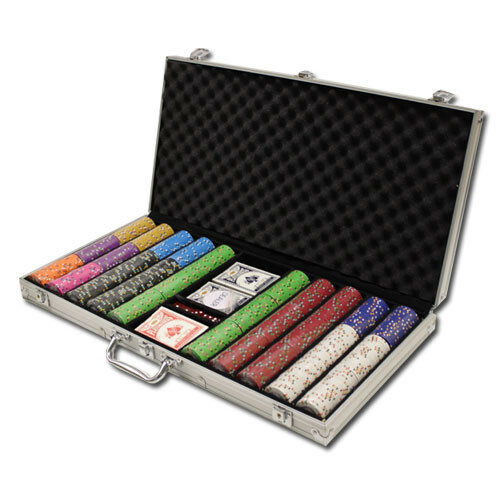 The interior is lined with black felt and uses real wooden dividers, not the cheap plastic dividers found in other cases. 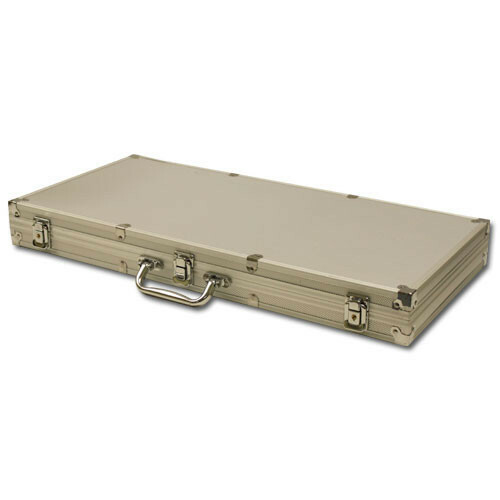 This makes the case stronger and more durable. 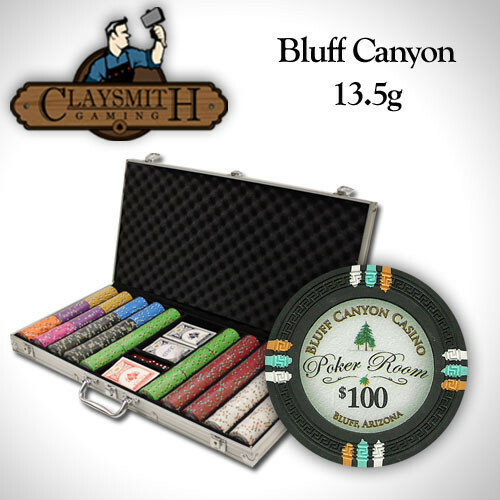 This set also includes 2 decks of playing cards, 5 dice and a free dealer button to complete your set.